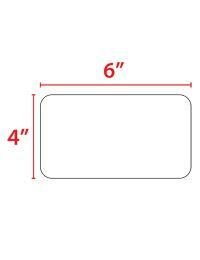 This product is a 4x6” thermal transfer roll label, each label perfed for easy separation. 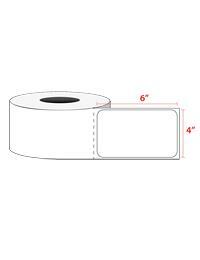 This product is available in quantities of 4,000 per full carton, with 1,000 labels per roll. Whether printing with a small or large printer, this 4x6” thermal transfer roll label is great for various label needs. These labels work well in many printers with the 3” core capability, including Brady, Datamax, Intermec, Monarch 9800 series, Printronix, Sato, TEC, and Zebra. Our labels possess lay-flat liners and permanent to help with easy application and ensure a long-lasting label. *Labels only for use with thermal transfer ribbon printers. Label Size: 4 x 6"